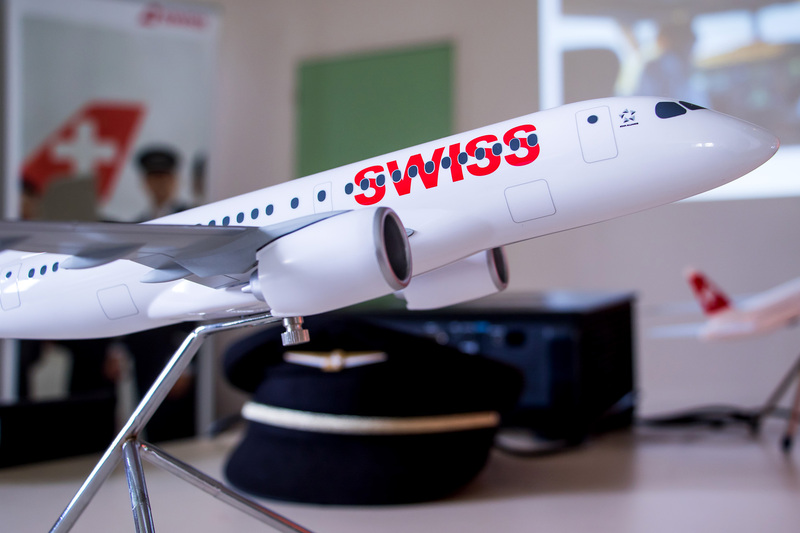 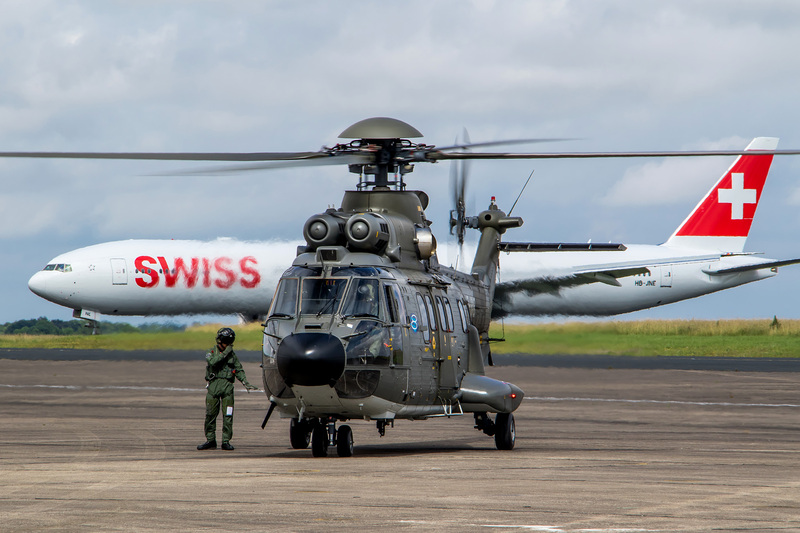 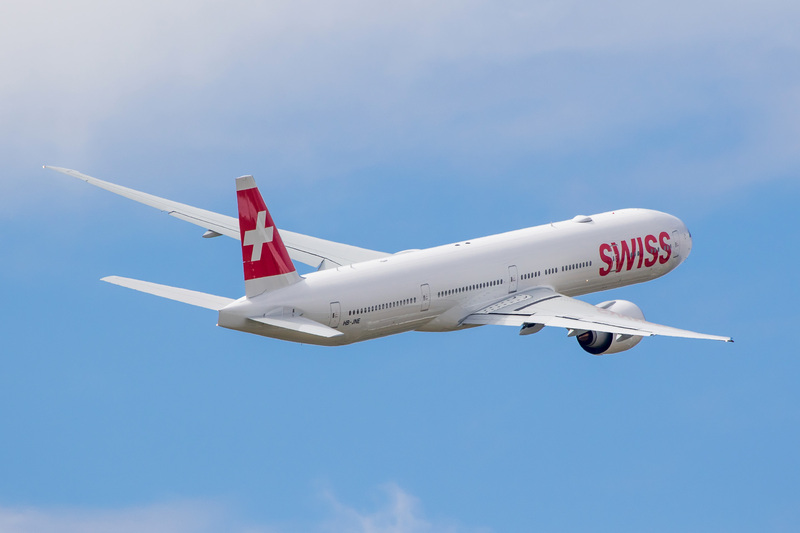 SPHAIR, a joint venture between the Federal Department of Defence, the Swiss Air Force and several airlines, has the goal of sparking the interest for aviation in youngsters, in an effort to supply both civil and military aviation in Switzerland with a steady stream of new, young pilots. 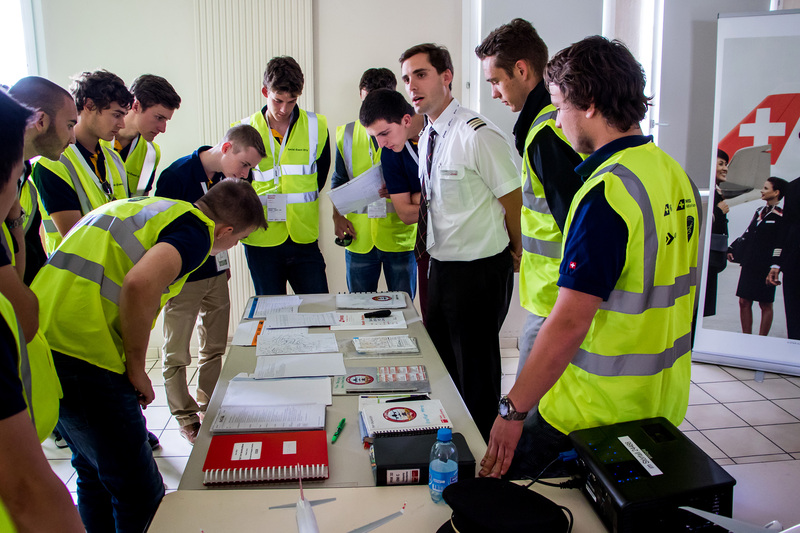 One of SPHAIR’s multiple efforts in this regard is a field day they hold every 1-2 years, together with their partners. 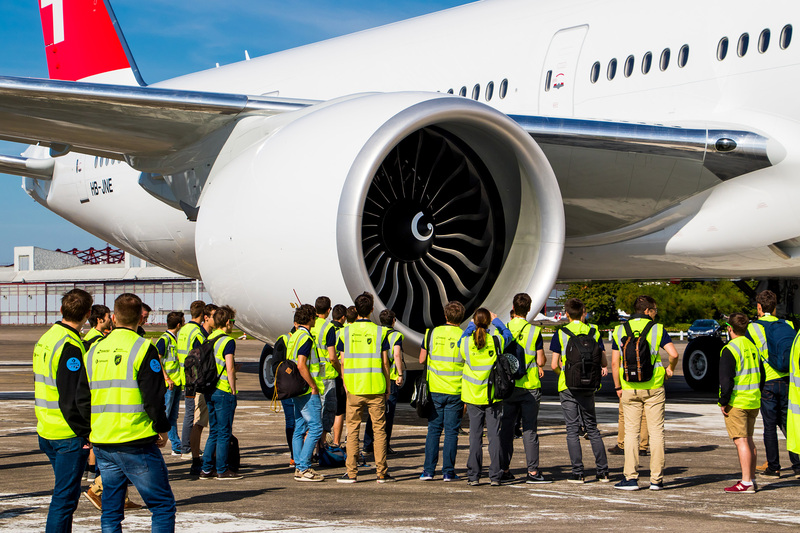 It is organised as a reward and further motivation for those who successfully passed the SPHAIR courses, but also a means of making this platform more attractive for those who are still undecided. 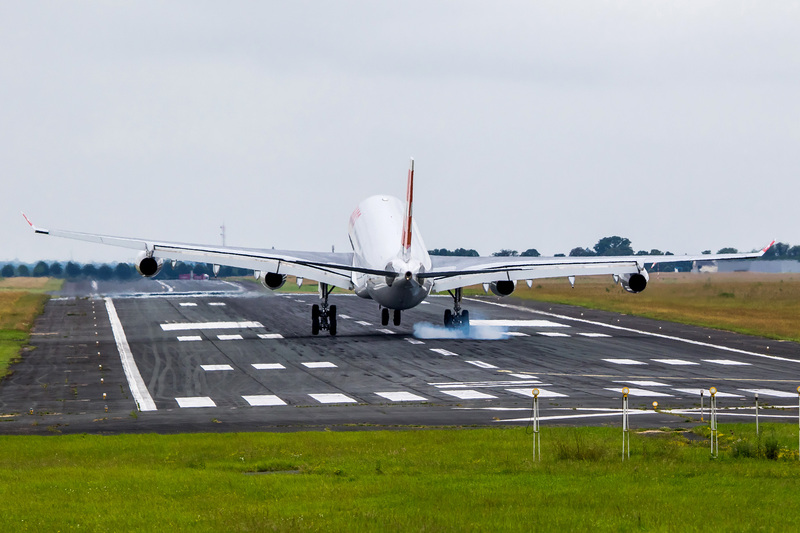 Here our A340 is already well underway to Châteauroux which kind of lies smack in the middle of France. 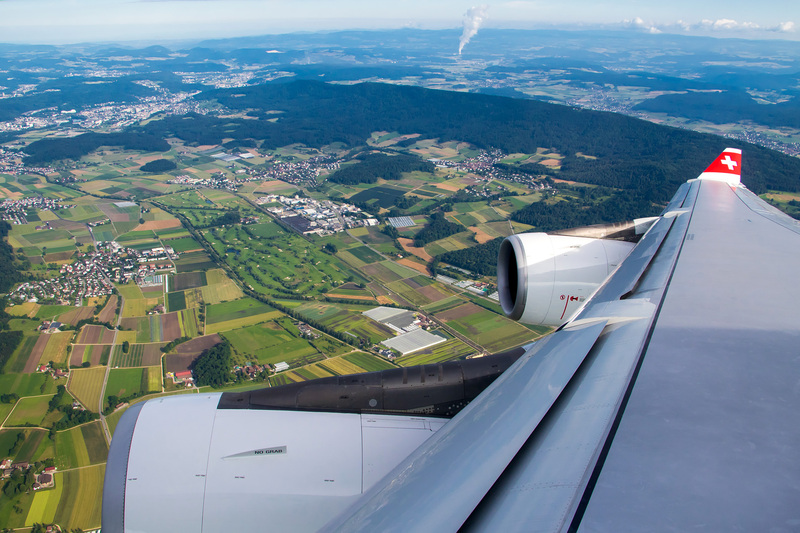 On final for Rwy 21! 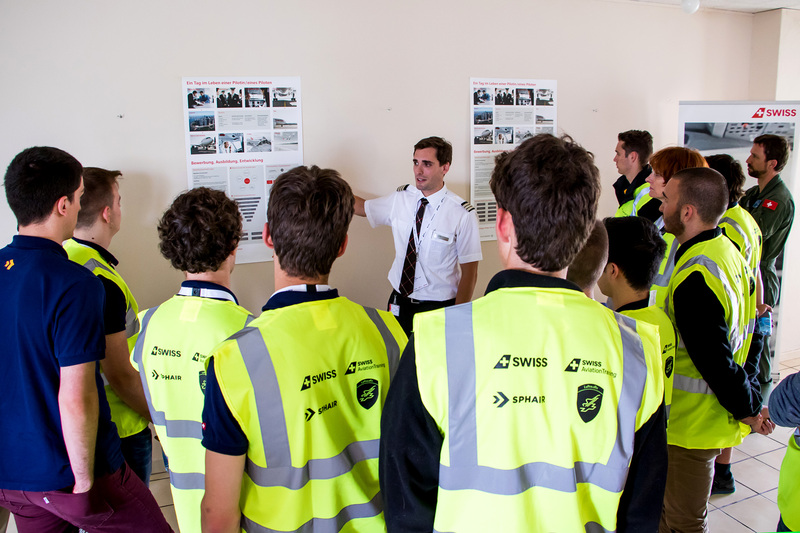 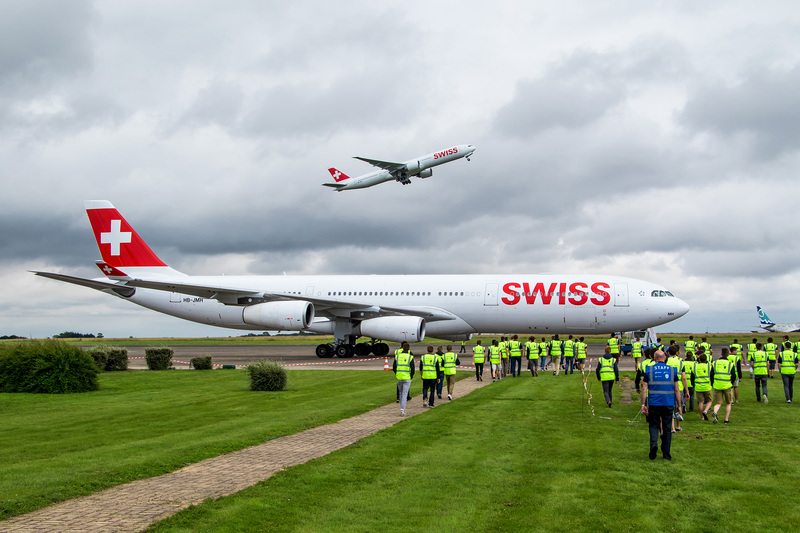 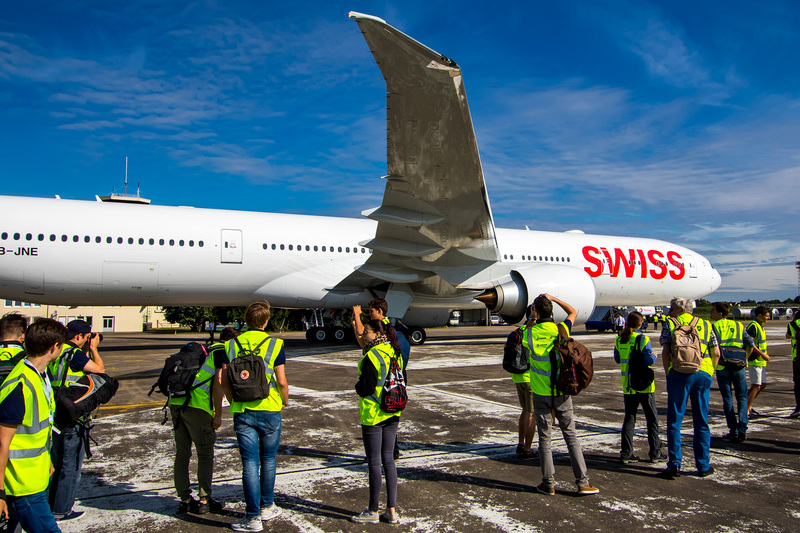 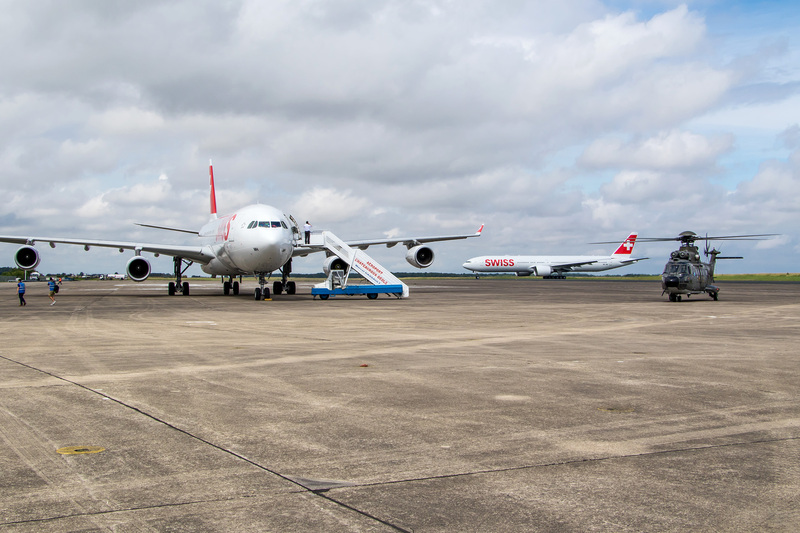 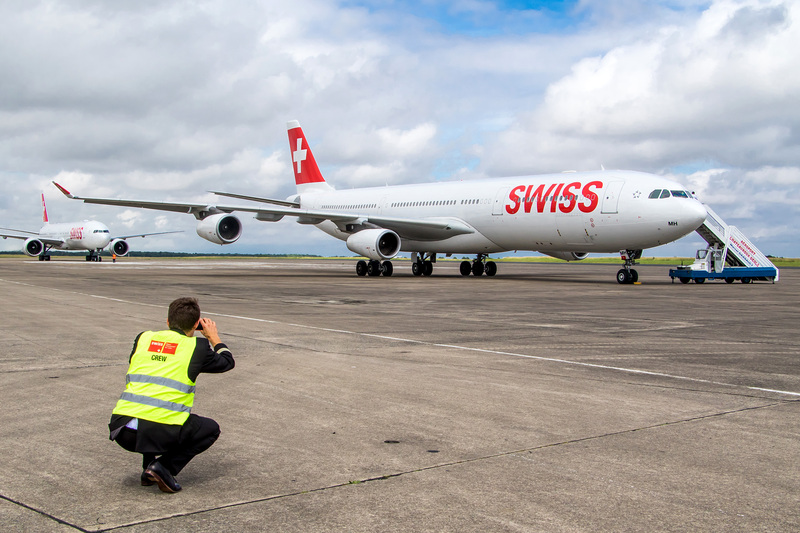 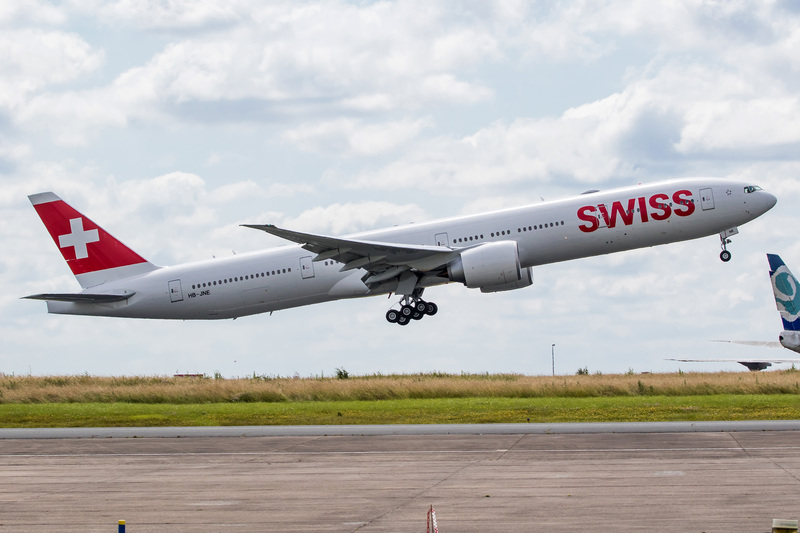 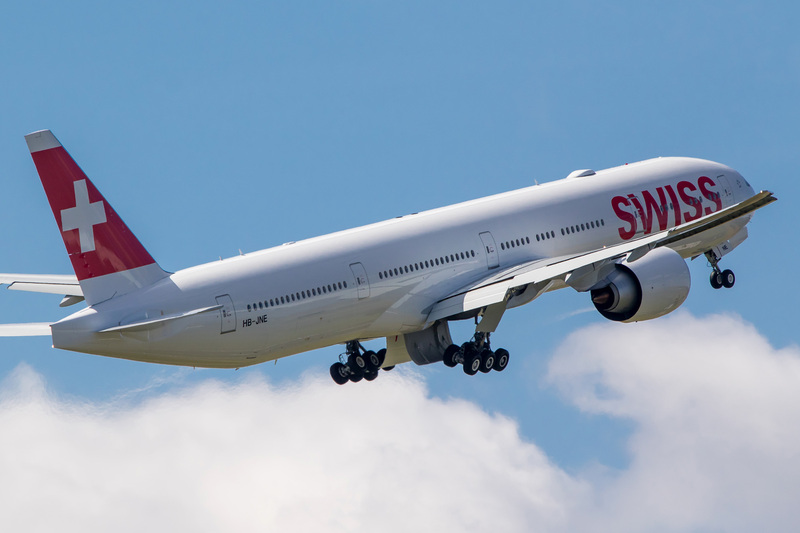 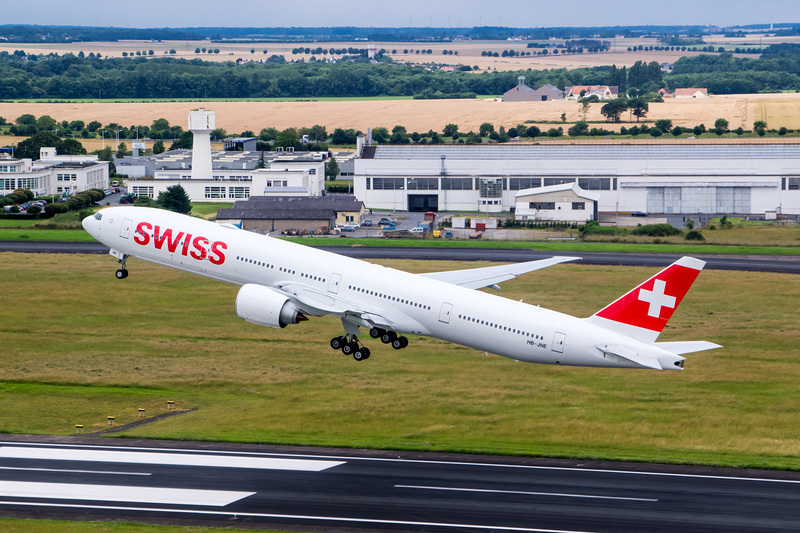 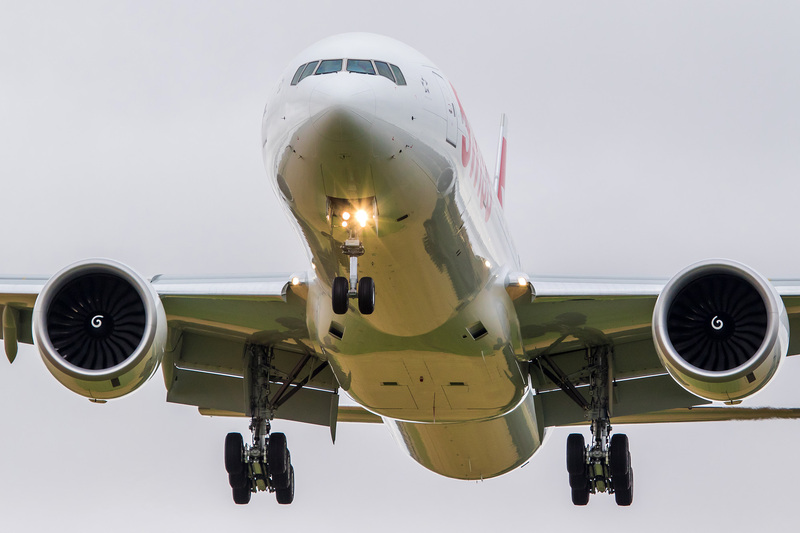 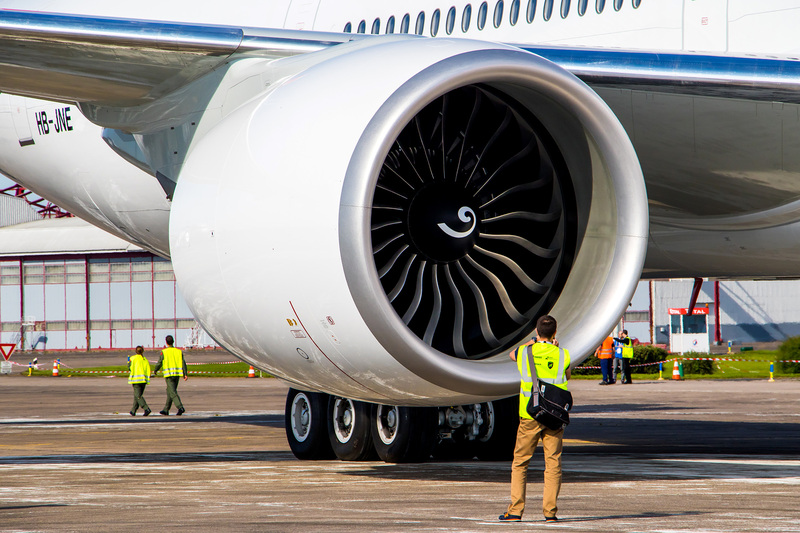 Only minutes after our arrival the SPHAIR students were already busy examining and admiring the two Swiss widebody jets which made their way to this popular training airfield – especially SWISS’ brand-new Triple Seven. 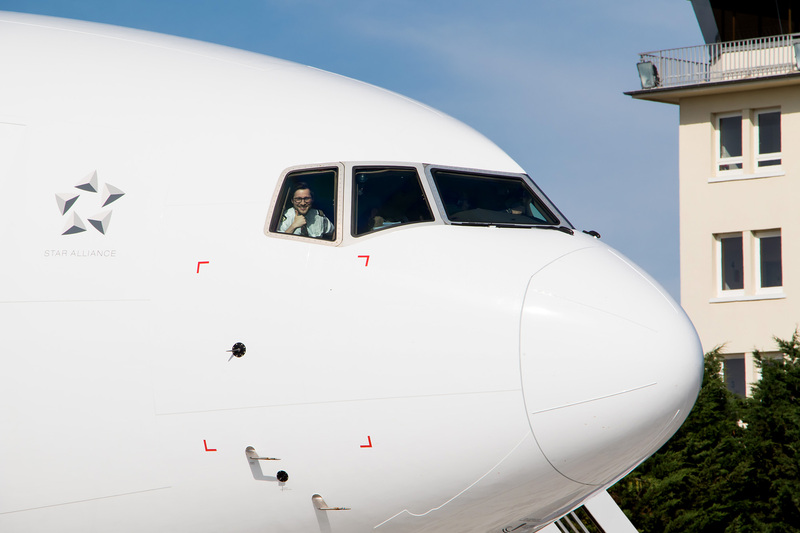 And it seems the pilots were having fun, too! 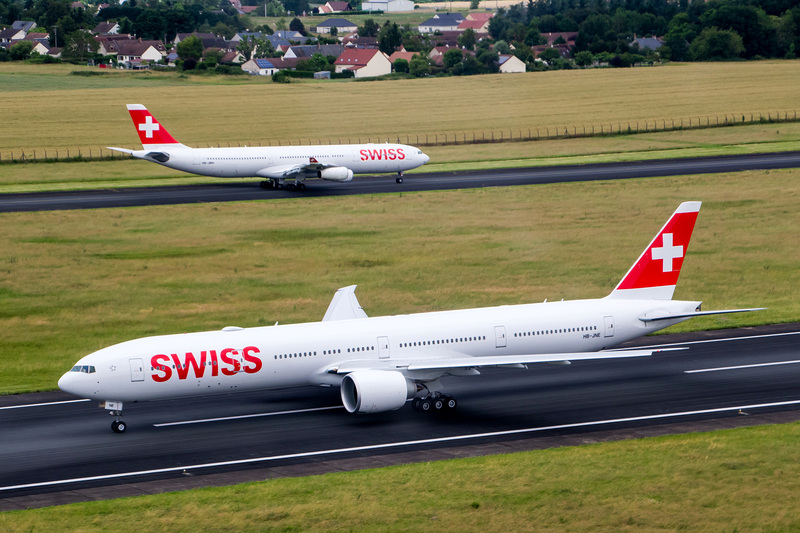 Then, training of the SWISS pilots commenced, each of them performing 3-6 visual circuits and landings which was very impressive to watch! 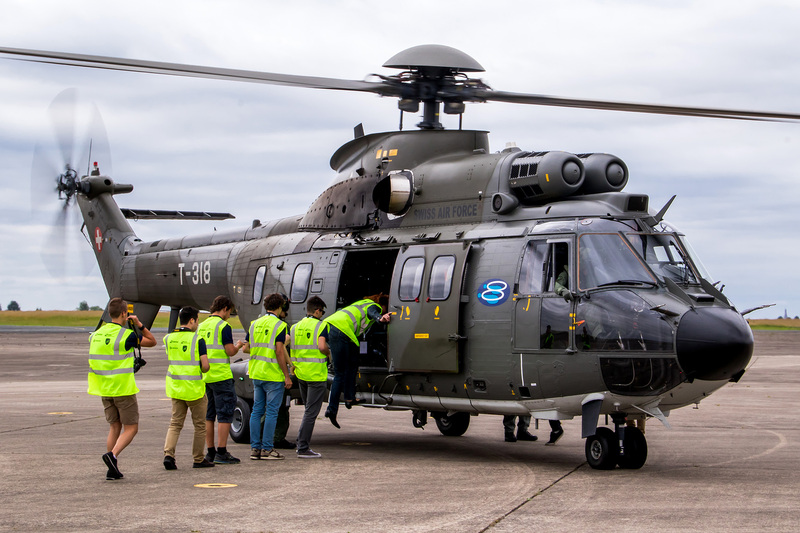 Meanwhile, the SPHAIR attendees enjoyed captivating presentations by helicopter and fighter jet pilots of the Swiss Air Force as well as of several SWISS pilots. 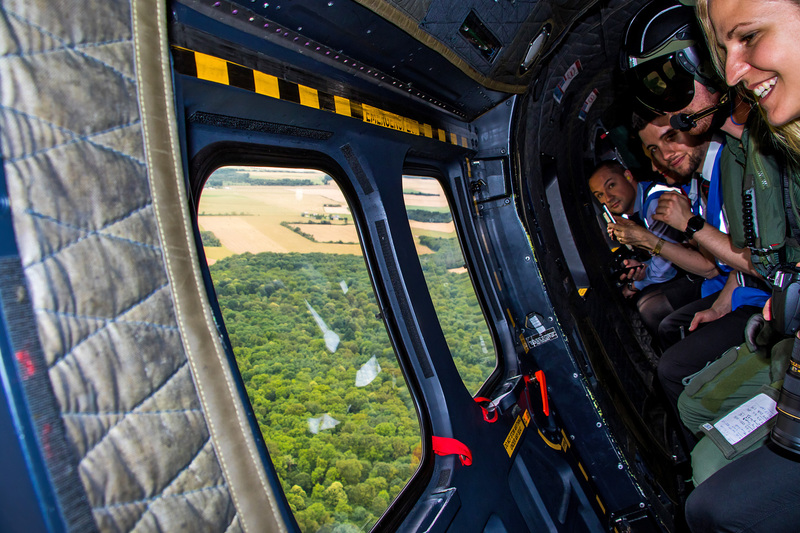 However, their own highlight still lay before them: A quick sightseeing flight in a Super Puma Helicopter of the Swiss Air Force. 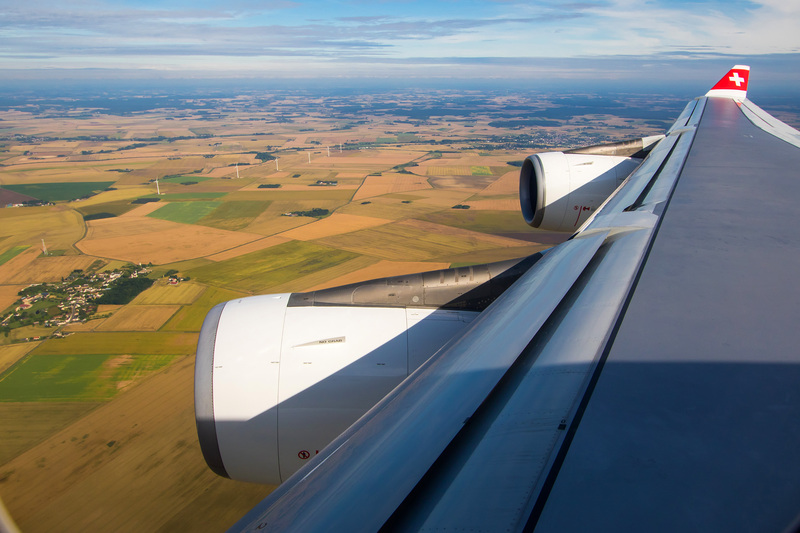 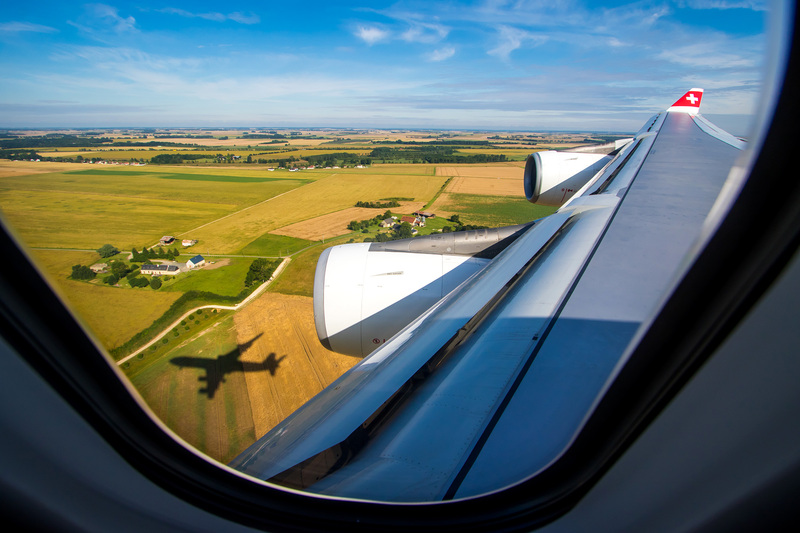 …and timing was perfect to watch the widebodies do their thing below us. 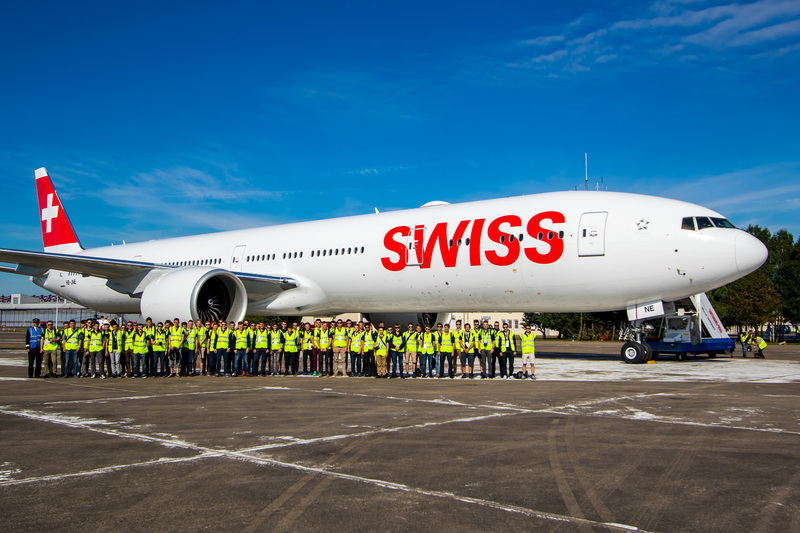 What a unique opportunity! 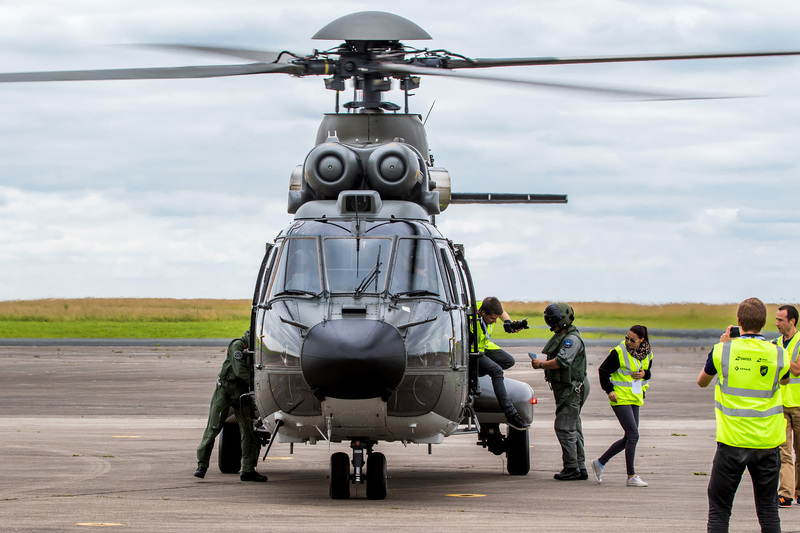 After the helicopter joyride the group was shuttled close to the runway’s threshold, in order to get a closer look at the flight action taking place. 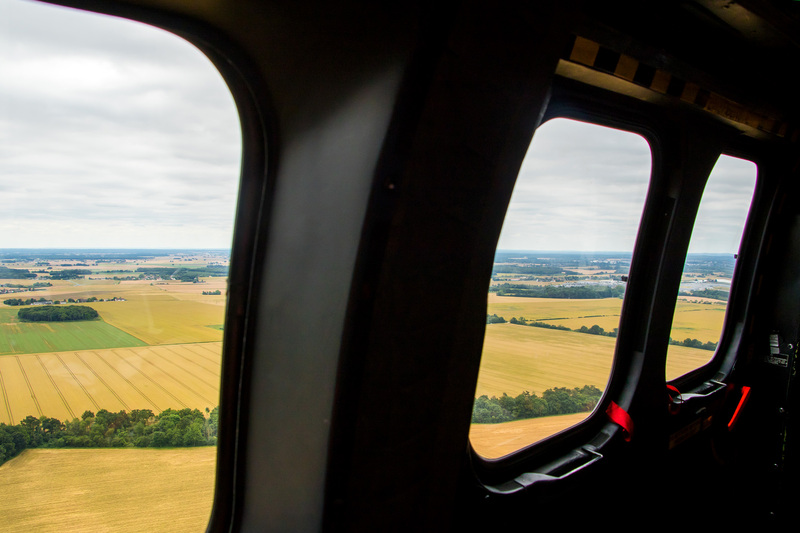 After a day filled with plenty of fun, action and kerosene smells the call to return home came way too soon. 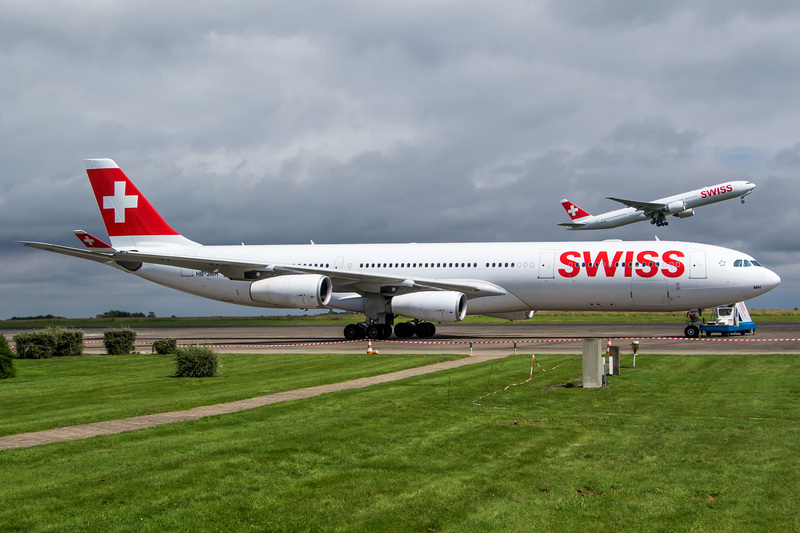 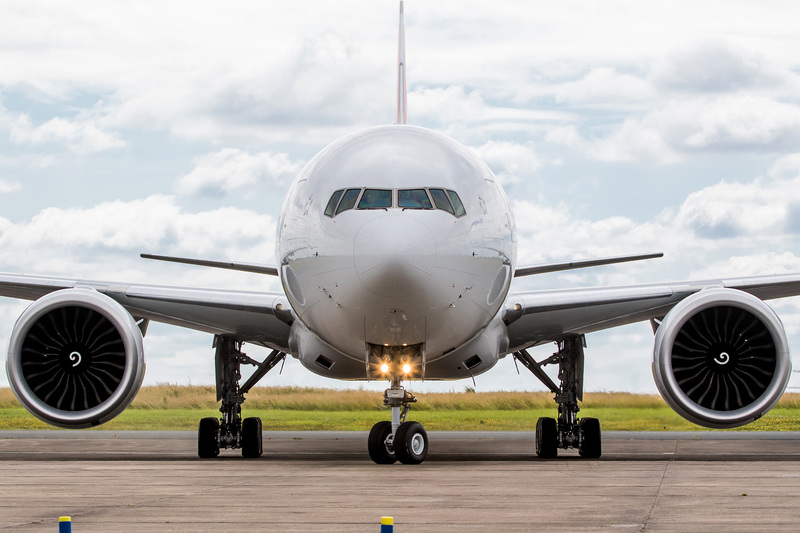 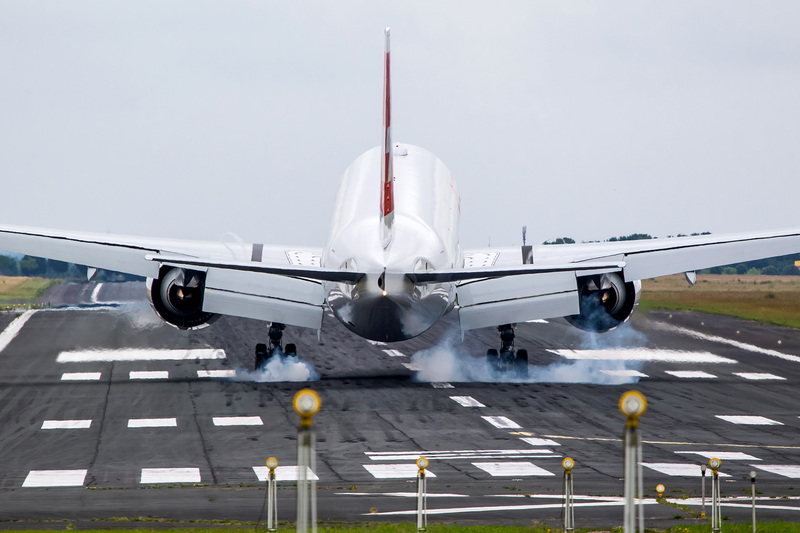 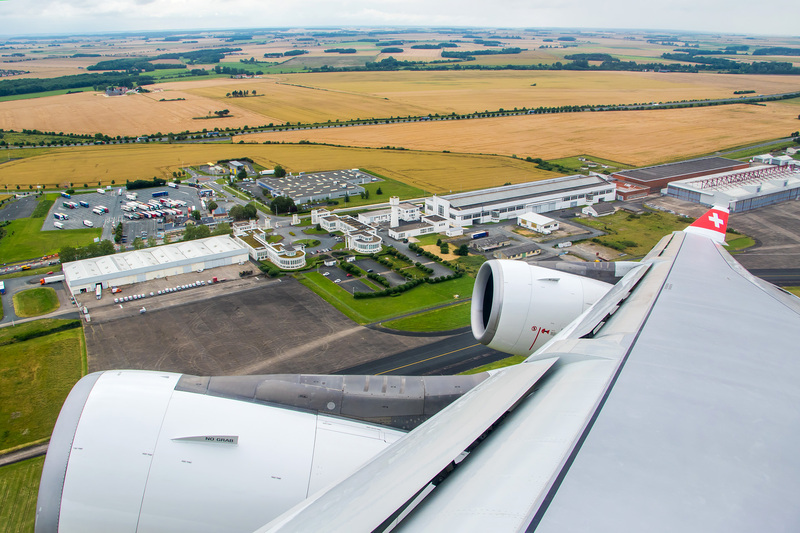 Triple Seven is leading the way, while the group is brought back by the trusty A340. 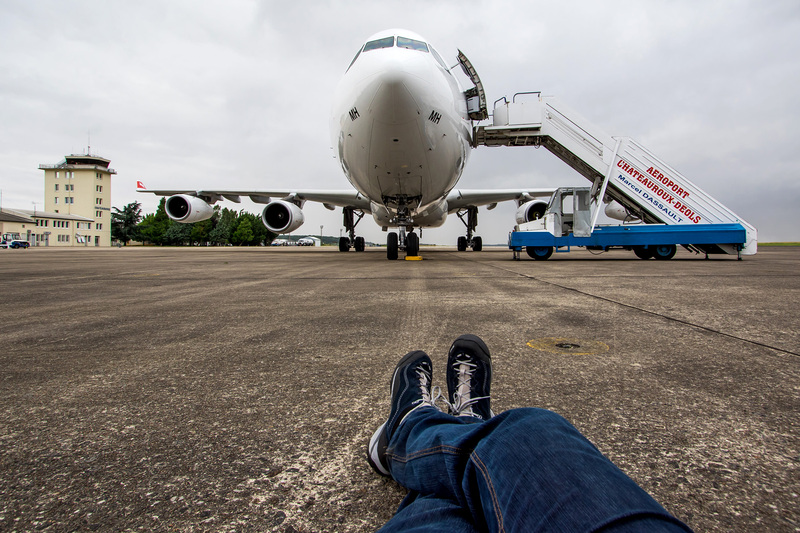 Time for one last moment of privacy with good old HB-JMH before it embarks on its way home. 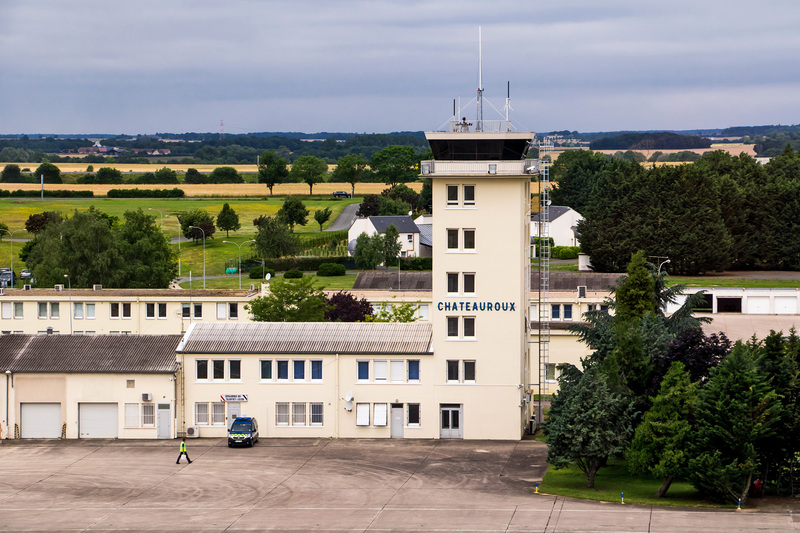 Bye bye Châteauroux and thanks for having us! 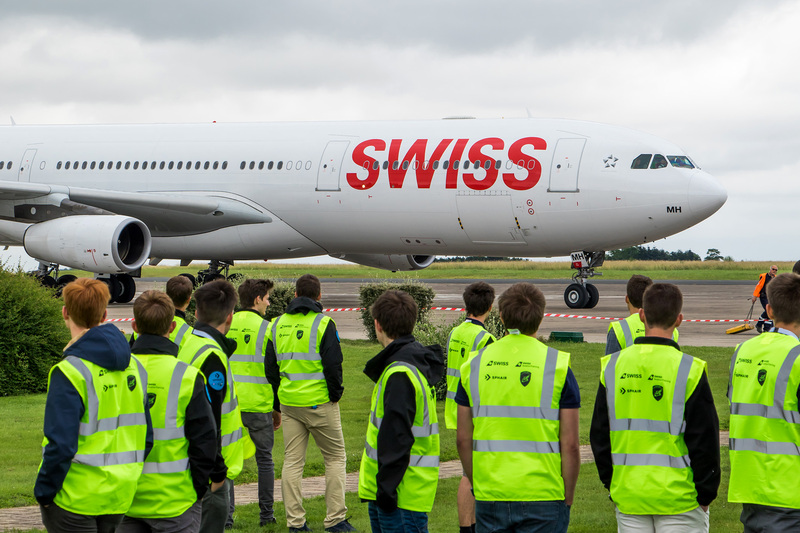 And huge thanks of course to everyone at SPHAIR, SWISS and the Swiss Air Force involved in organising this special event – it was a huge success and painted smiles on countless faces (including mine)!